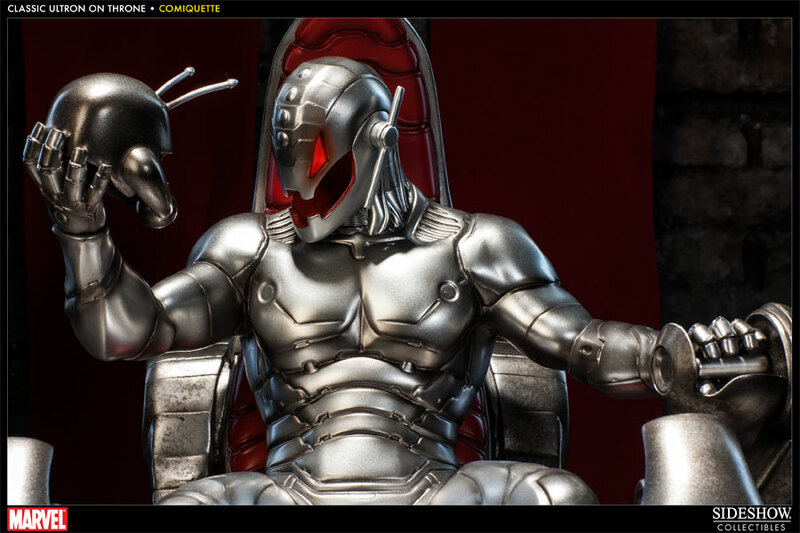 Ultron returns to us brought to you by Sideshow Collectible. 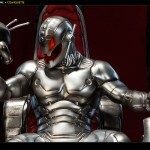 The rogue sentient robot is bent on conquering humanity, and your collection. This time we’ve given him his classic look – and his own throne. 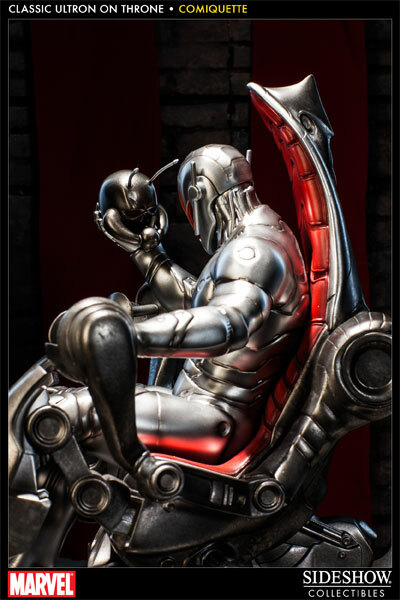 At 1:5 scale, our Classic Ultron is over a foot tall seated on his elaborate throne and features a striking adamantium paint application with bold red accents. 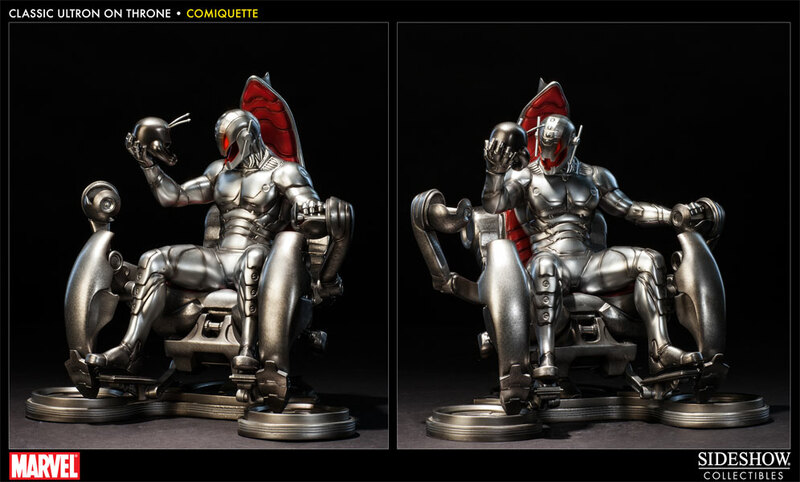 The regular and Exclusive versions of Classic Ultron on Throne Comiquette will feature the maniacal baddie holding Ant-Man’s head in his right hand. The Exclusive version will also include an additional switch out right hand, holding Vision’s head. Both the regular and Exclusive versions of this piece will be priced at $349.99. 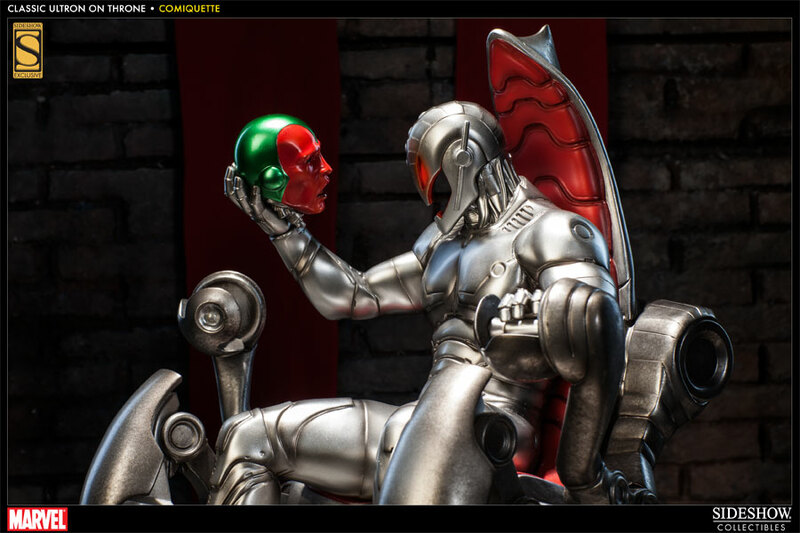 The Exclusive Classic Ultron on Throne Comiquette will be available for Pre-Order on Thursday, February 21st, 2013, 2PM and 3PM (Pacific Time).